Sony's newest console just recently launched, right in time for the holiday season. 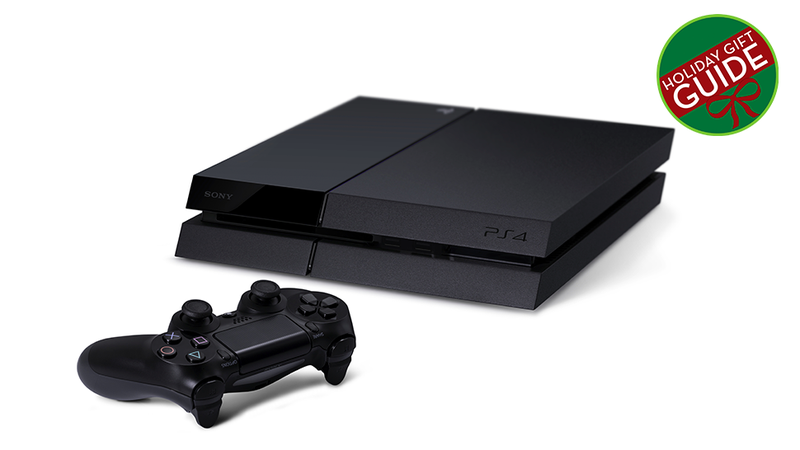 Here are some dos and don'ts when it comes to holiday shopping and the PS4. DO consider a charging station made by your brand of choice. It's more sightly than wires sticking out of the console. DO buy a year of PlayStation Plus. You won't just be giving access to PS4 online multiplayer and a bunch of other services, you'll be giving the gift of games, thanks to the massive collection of free PS3 and Vita games PS+ subscribers get access to. Your gift receiver can instantly pick up Contrast and Resogun, both of which are fantastic games and free with a Plus account. DO pick them up a copy of Need For Speed Rivals, Battlefield 4 or some other available launch games you think they might like. DO get them a 1080p television so they'll really appreciate all the fancy graphics this thing can do. You know, if you wanna go big with your gift. DO consider getting the PlayStation camera to go with a PS4 if someone's already picked up Sony's newest console. There aren't too many games out yet for the PS4, and of those there aren't too many that use the camera's features, but it might be something your gift receiver will find useful and/or fun. Especially if they've got kids who would probably love Playroom, for instance. Or cats. DON'T get them an actual PS4 just yet unless you know for sure they want one. There aren't enough games out there right now to justify the new console purchase, and early adopters can sometimes get stuck with some growing pains or even units that aren't working quote right. But if you are considering getting them one... First, can you find one? Second, is the momentary glory of giving a cool new PlayStation more for you or for them? Because, you know, it's not about you. You are giving them a system that doesn't have a lot of games. You are giving them a system that can't play any PS3, PS2 or PSOne games. You are giving them something they can brag about and that plays one fine looking version of Assassin's Creed IV. But it doesn't run GTA V. It's also not an Xbox One. Tough call between those two, though we can maybe help you sort that out, at least.